Abu Dhabi, UAE: The potential for advances in anti-fouling and adhesion technology derived from the study of clam-like Blue mussels may result in massive fuel savings to marine vessels and advances in adhesives with medical applications. Fiddler crabs, common in salt marshes and mangrove forests throughout the world, help mangrove trees grow larger, taller and thicker which in turn helps sequester more carbon. These are only two of the many examples of unexpected and unanticipated benefits obtained from even the most common species, according to a recently published article in the journal Current Biology. In “The Importance and benefits of Species” the authors argue in favour of strong conservation efforts for all species great and small. The paper, authored by affiliates of the Abu Dhabi-based Mohamed bin Zayed Species Conservation Fund, advocates a conservation philosophy that all species are important, no matter their direct use by humans, apparent value, intelligence or attractiveness. The default setting for our relationship to all species on earth should be “Conservation,” not trying to develop arguments for why a species should be saved through its current perceived usefulness to humans. While in recent years there has been increasing recognition of the value of ecosystem services in achieving long-term sustainable development and human well-being, the value of individual species in maintaining these critical services has often been undervalued or overlooked entirely. This paper seeks to highlight the fact that species are essential in maintaining ecosystem services, and that they need to be conserved even if their immediate values are not yet defined. Value offered by a single species is often unexpected and unanticipated such as the potential value of a newly described species of catfish in the Amazon basin whose unique gut bacteria can digest wood and may prove beneficial to manufacturing paper using less energy. A more balanced approach to conservation is required taking in to account the intrinsic value of wildlife and potential benefits that are currently overlooked by science. It is very difficult to assess the value of wild species because it not only depends on the properties of that species as they are currently understood but on the changes to the environment and society over time. When a species is lost or greatly reduced in an environment, there are consequences. 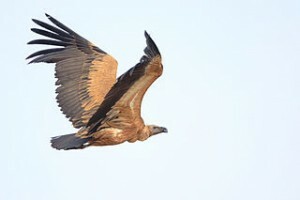 For example, the Indian vulture was unintentionally poisoned in the 1990s reducing their numbers by more than 99%. This resulted in an increase in feral dogs which led to greater occurrences of rabies across India and Pakistan. The authors suggest that the demonstrable links between individual species and ecosystem services that are critical to humanity should, at a minimum, eliminate the burden of proving the relevance of species and give way to an intelligent approach founded on the precautionary principle. Just because we generally don’t know what most species’ roles in nature are, does not mean that they are unimportant.